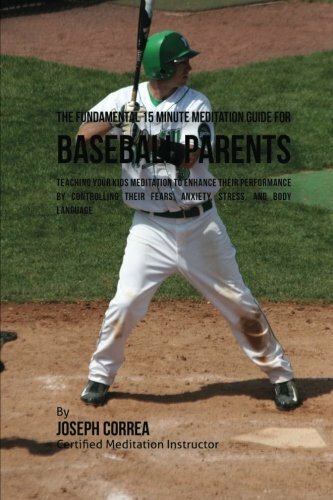 The Fundamental 15 Minute Meditation Guide for Baseball Parents will teach you how meditation can make you mentally tougher even in the most difficult situations. Stimulating the mind will stimulate the body to overcome what was once thought of as impossible and will help you to surpass your limits. Use this guide for you as a parent or introduce your kids to a new approach to mental toughness. Meditation can become the fastest path to mental toughness due to the non-physical skills you will develop and improve. It will teach you to strengthen the mind and sharpen your concentration for longer periods of time. Meditation can make you mentally tougher no matter what your age. These are just a few things you will see or notice once you begin to practice meditation: - Improved levels of concentration. - More calm and relaxed under pressure. - Better capacity to handle stress. - Less muscle fatigue and tightness. - Superior capacity to process thoughts.